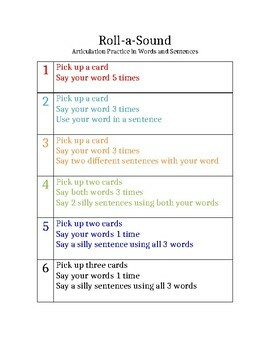 Using articulation cards, work on sounds at the word and sentence level. Pair it with a game to motivate your clients! Also, works on following directions, creativity, and social language skills as the client gets to make up his/her own silly sentence and plays with a group.